Oh wow, that's really pretty Ebelin! FMA is a good anime. :) Nice picture of Al too, I've never seen it before. I love the snowflakes too. :) Nice job! Nice work !! Nice background !!! Great work !! Thank for sharing it with us !! Alphonse looks so peaceful and gental here. I really like this wallie. 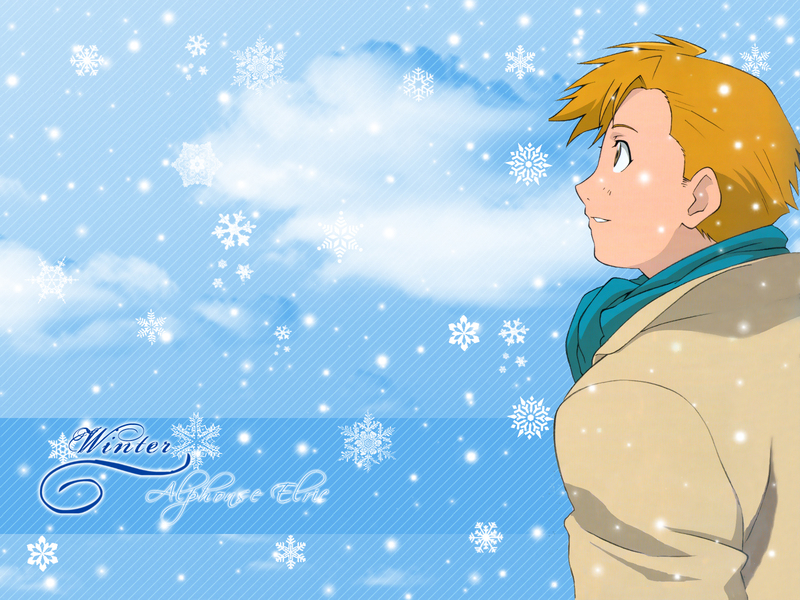 Yay Alphonse Love ^_^ I really like the snowflakes. Kyaaaaaaaaaaa! Alphonse! He's so cute!